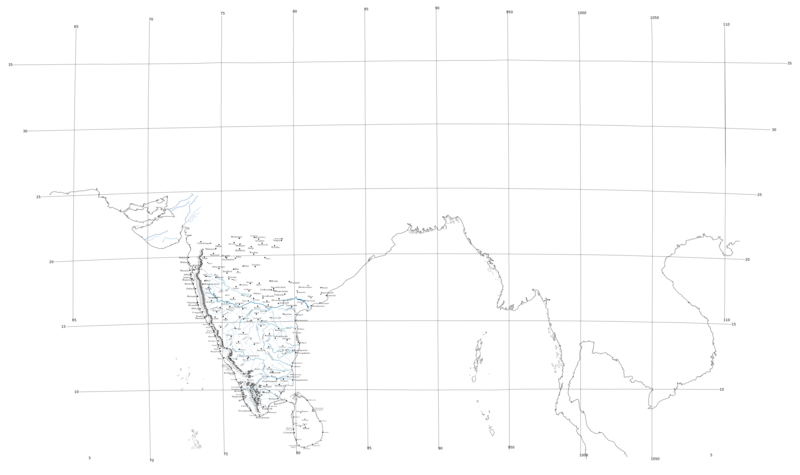 This map is a small demo of what can be done with the blank template map that was traced out as part of the Historical Map of India project. The political situation in South India and greater part of Maharashtra during 1350 CE has been shown on the map.It still needs a lot of work regaridng correction of boundaries,showing smaller principalities,correction of place names etc etc.But to visualise what the political topography of South India was in the middle of the 14th century this will be useful aid. This is only one of a series of maps.It can be used to depict battles,movement of troops etc. 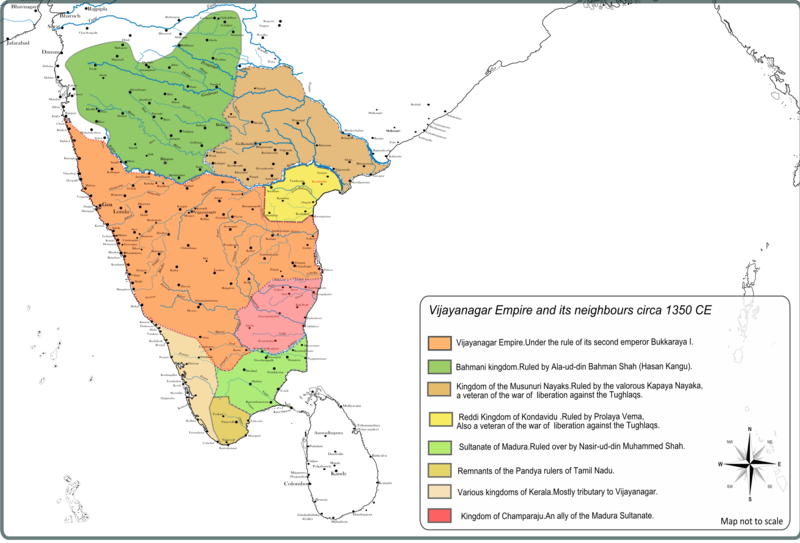 Updated map with most cities of the Vijayanagar empire + Bahmani sultanate.Would be useful for anyone mapping history of Vijayanagar.Project was dormant ofr a long time.As you will see the map will need to be cleaned up further (which I will sooner rather than later). This is a part of the Historical Map of India Project. Although free to use for academic and non commercial purposes,for commerical use prior permission has to be taken and attribution to source is a must. 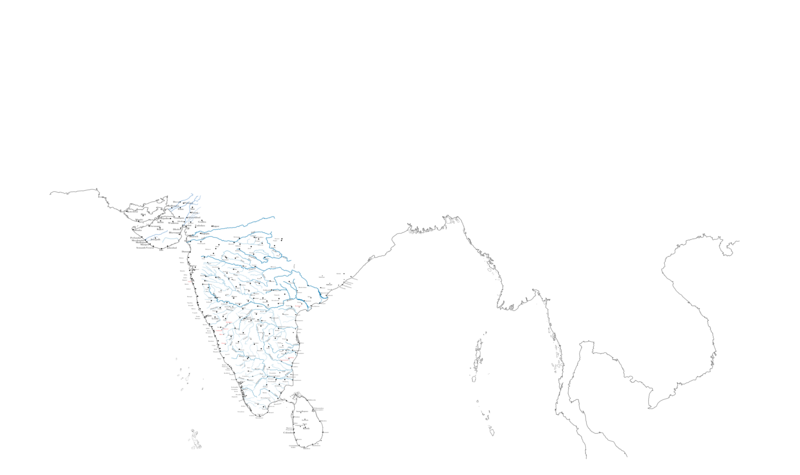 All major riversfrom Kanyakumari till the Krishna river in the Deccan. This project was created to serve as a resource for all those looking for good quality maps of the Indian sub continent.”Greater India” is the correct term to use as many of the areas above were part of the India both politically and culturally.The maps are primarily intended to serve as a template on which historical maps of India can be based.I will be posting several versions in the coming months which will have strategic passes,rivers,river basins,forts of South India etc.The base map for all the maps I will be putting on this blog is a German navigation map from 1914 which can be downloaded for free from here. The project came about as a result of a discussion between myself,Atri ( who runs a very informative blog on Indian history and culture) and Parag Tope.It was found that there was a dearth of versatile map templates of India with a decent amount of detailing in the trace.Parag was kind enough to correct the projection of the base map. 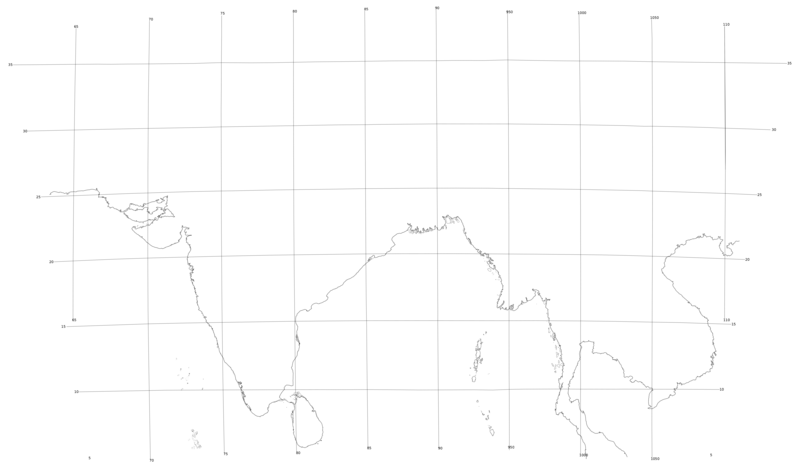 The map trace has its limitations in the sense that it is limited to the coast of Makran in the West and coast of Korea on the east.I will be posting quite a few variants of the map in the coming months.Thee scale of the map is 1:10,000,000. The above map is without the latitude & longitude lines. 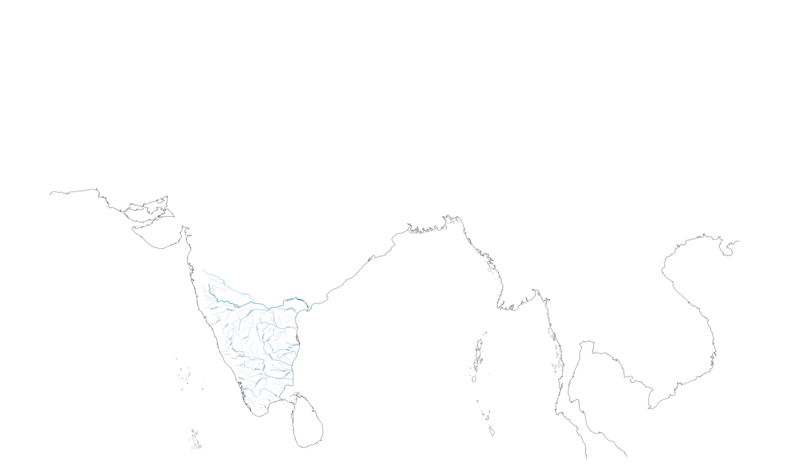 This is the basic template which will have all the bells and whistles.I will be posting variants of this map ( ie a map which only shows rivers,forts,strategic passes and mountain ranges and so on).As you can see a lot of work needs to be done.